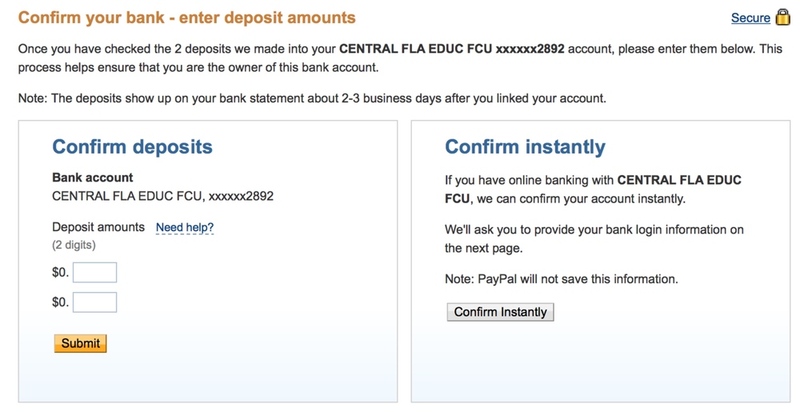 Set up your account by going to www.paypal.com. Under the "Business" tab at the top, go to "Get paid on your website". Select "Sign up for free". You will need to provide basic information about your website, including your type of business, type of corporation, EIN, and how much you expect to make each month through their service. Be sure to have your Business Bank Account number and routing numbers handy. They will ask if you want to set up credit card payment and PayPal, or if you already offer credit card payments through your site and only want PayPal added. I did not have either so I went with the first option. A. You get to make your PayPal button! There are several options which you get to view: Shopping Cart, Buy Now, Donation, Subscribe, etc. I did not know what I was going to charge for a product, so I put in a dummy product at a price and item number just to see how this would all work. You can go back in and update anytime. Also, their help menus at each step are very helpful! The Merchant Account ID is a lifesaver. This keeps spammers from getting your email address. B. There are options for tracking inventory so you know when your product is running low. There are profit and loss reports as well that you can sign up for. C. You can select options for adding your customers shipping address, and allowing them to leave you special messages. 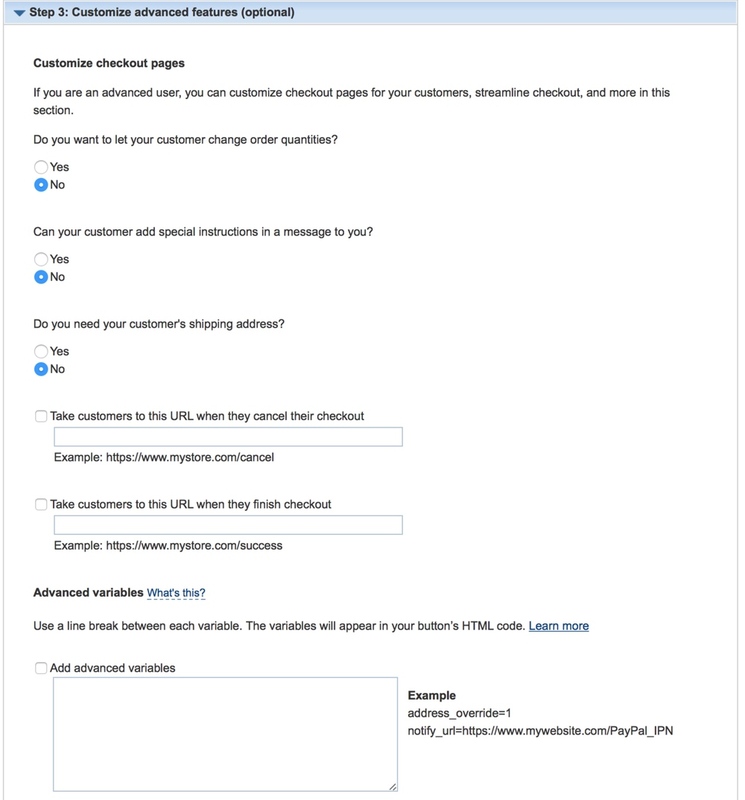 You can specify an URL to send your customers if they cancel an order or when an order is complete. Don't worry if you don't have this set up quite yet. You can always go back in and modify your profile. I copy/pasted my code for the button into a temporary page just to see what it would look like. I learned I had to paste this into the "Text" tab rather than the "Visual" tab. You now have your first button made! Next, you'll want to add your Business Checking account. I had a hard time finding where to do this, but eventually found it under the icon at the top that looks like a little person. You can verify your bank account information instantly with your log-in to your bank or your phone number. And you're done! Anytime you need to add a product or adjust pricing, just log into your PayPal and update your button. PayPal charges you fees for every sale. Generally, you will face 2.9% + $0.30 per sale within the US. International sales are "3.9% transaction fee plus a fixed fee based on currency received". Be sure to check out and understand their fee structure so you can adjust your prices accordingly. Once you receive an email to "Confirm your bank account" (2-3 business days after linking your account), log into PayPal and click on the "Go to Setup" blue button in the middle of the screen. If this does not appear for you, click on the profile icon and select "Business Setup". Now click step 2 at the top called "2. Account Setup". You'll have a reminder here to also confirm your email address if you have not already done so. Take a second to log into your Business Bank Account. You'll need to know the exact amounts PayPal sent to your account to complete the verification. In PayPal, click "Link your bank account". Click "Confirm" under status. You'll have the option of either entering your two deposits from PayPay, or instantly confirming your account with your bank log-in information. Side note: I tried this second option and it did not work for me. I spent more time waiting for it to confirm than it took to enter the two deposit amounts. You're ready to start using your PayPal account for secure transactions. Now go and get set up with your very own business PayPal account and start selling your products and services like a pro!